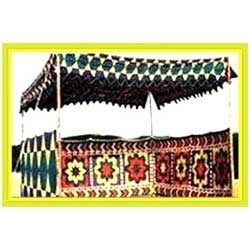 Our range of products include wedding shamiyanas, shamiyana(shamianas) and wedding tents. Our firm is involved in manufacturing, supplying, exporting, distributing and wholesaling of a wide gamut of Wedding Shamiyanas. We are dedicated to fulfill every single requirement of our clients and thus, manufactured these products strictly as per their specifications. These products are used to ensure beautiful decoration at the marriage events, reception and any kind of the special occasion owing to their royal look, attractive design and heart-touching color combination. Consists of two layers of cloth. We are providing Wedding Tents which are installed at various ceremonies and functions such as wedding, reception, party, prize distribution ceremonies, anniversaries and other kind of public gathering. 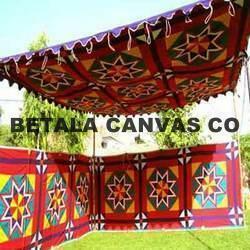 The offered tents are manufactured making use of strong material so as to ensure their prolonged service life. Clients can avail from us these products at market leading price range. Looking for Wedding Shamiyanas ?